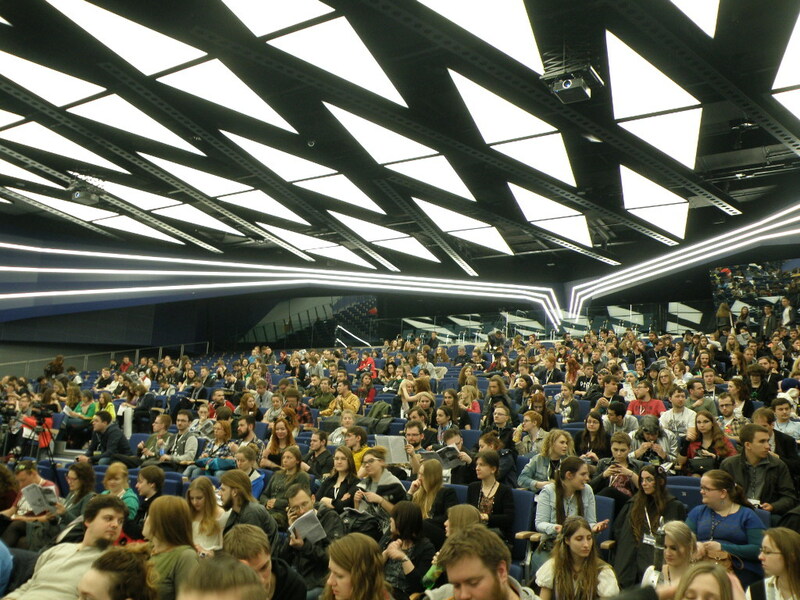 The first topic I have chosen for this blog is not an easy one: I want to present what is important for Polish conventions. I wanted to extract the core of convention-going. However, the only way I can look at Polish cons from the outside is to try to compare them to foreign conventions I have attended (mainly Eurocons and Worldcon). This comparison is not ideal as both Eurocons and Worldcons are very specific events. Still, this is the best option so I will be using this imperfect comparison. Majority of Polish cons is relatively cheap. There are exceptions but the membership rate for most of the events will be between 30 and 70 zlotys (7-16 Euro). You can of course find events that are free or cost only 10 zlotys (~2.5 Euro) but there are also events costing 170 zlotys (39 Euro). Polish cons are also cheaper for one more reason. Most of the cons lasting for more than one day offer free accommodation in so-called sleeping rooms. They are usually located in schools and each fan can take their sleeping bag and sleeping pad (or inflatable mattress) and literally sleep on the floor. 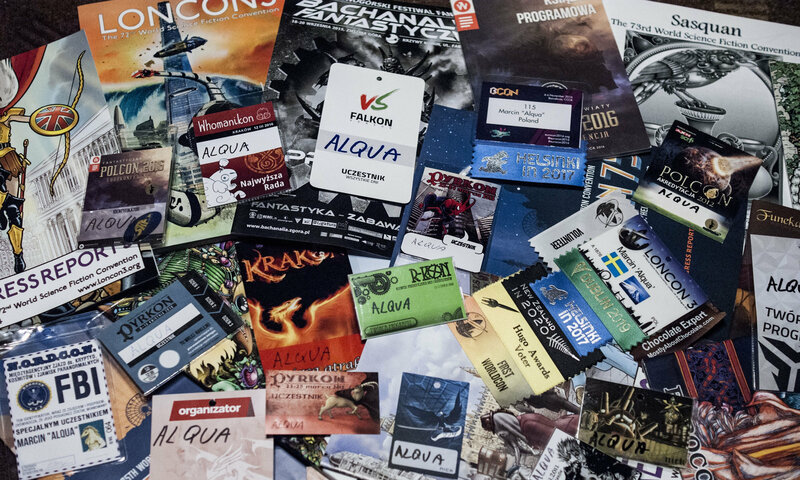 What surprised me during Eurocons and Worldcon was the fact that there wasn’t a lot of games there. In Poland, most of SF cons have a lot of items for gamers. Firstly it would be the so-called „Games room” – a place where one can sit and play board games. On some conventions those will be small, on some they will be very big, having literally hundreds of games. It is also popular to have 1 or 2 programme strings devoted to role-playing games. Some conventions also offer one or more rooms for LARPers. Finally, on the biggest conventions you will see zones for video-gamers. On top of that we have conventions devoted to gamers only. If you prefer RPGs you may visit Lajconik where you can participate in 4 RPG sessions during two days. If you prefer board games, you have Gralicja or Pionek. If your favorite gaming activity is LARPing, you may think about attending Orkon (which in 2016 lasted for 16 days). When I am thinking about Polish fandom I cannot think only about literature – gaming is now at least of comparable importance. Another big difference I have spotted is the matter of nicknames. When I was joining fandom in 2002, most of the fans were using them. In fact, for many years (before social media became popular) I had good friends and I didn’t even know their real names. Right now I can see that with more and more people attending our cons using real names is common but pseudonyms are still very popular. I know that it is not very uncommon in other countries for people to use their nicknames but judging by cons I have attended outside of Poland it is not as popular as here. Most often when we are speaking about cons we are dividing them into two groups: manga-cons and SF-cons („konwenty fantastyczne”). Still, what we have in mind by saying “SF-con” is quite often a multi-genre convention with program items ranging from literature to TV shows (and of course usually having something for the gamers 😉 ). Looking at Polish fandom one will realize that it seems it is populated mainly by people in their teens and twenties. Of course you will be able to meet fans in all age groups but majority will be relatively young. It is important to remember that age structure will strongly depend on the con you will be looking at. In general, manga conventions will have more teenagers while the average age of SF cons will be slightly higher. Also some SF conventions will be attracting more of the older generation fans (Polcon, Nordcon, Festiwal Fantastyki w Nidzicy) and some will have a lot of young fans (Pyrkon, Smokon, Kapitularz). It is typical for SF cons in Poland to have a lot of guests. Most conventions will be using the term „guests” and not „Guest of Honour” (Polcon will have both guests and Guests of Honour). 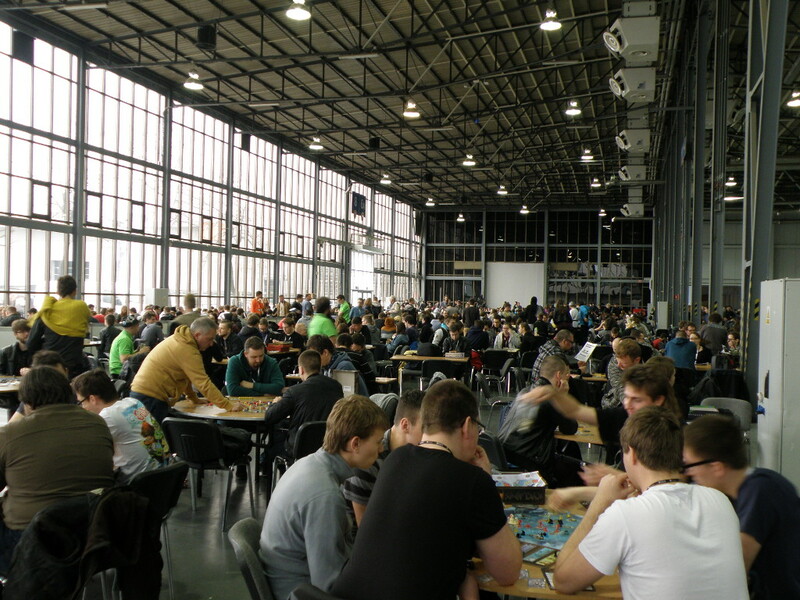 While Eurocon or Worldcon will have only few GoHs, Polish cons will have many invited guests (authors, translators, editors, artists, and fans). The list of guests attending Polcon last year was quite extensive (http://polcon2016.pl/goscie/) but even smaller cons like Imladris will have more than 10 or 15 guests. Sometimes one may have the impression that conventions are participating in a competition of ‘who will invite more guests’. This gives us one advantage and one disadvantage. As fans we usually know which of our favorite writers will appear on a convention and we will have a possibility to meet them in person or at least attend programme item in which they will be participating. On the other hand with so many guests it is quite common that someone will appear in just one programme item. When it comes to the topic of where the conventions are held, it is not so easy to describe it these days. Few years ago I would say that we tend to have conventions held in schools. Right now it is still partially true but more and more cons are looking for different venues, and depending which event you will choose you may end in a totally different venue type. 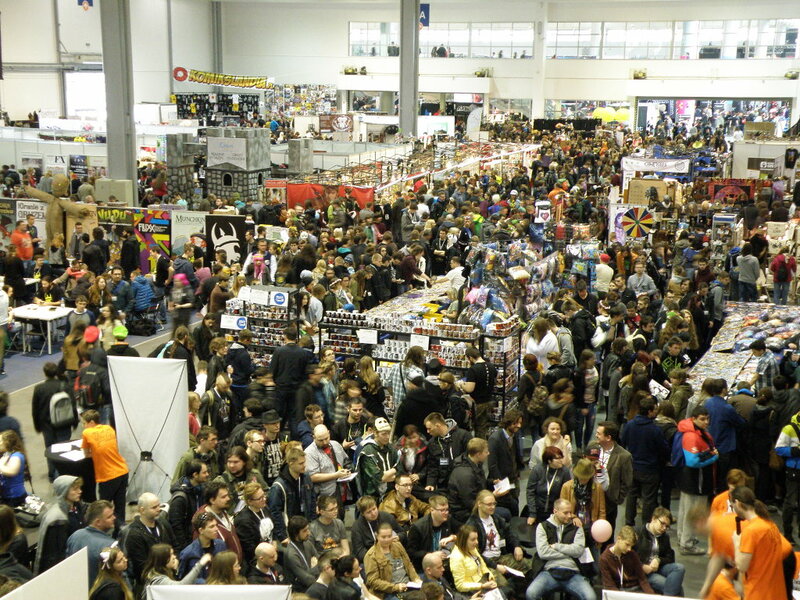 Schools are still quite popular, but bigger events like Pyrkon, Falkon or Magnificon will be held in exhibition centers. Some of the cons are organized at universities (this happens quite often with our natcon – Polcon). Finally it is not uncommon to have convention in a cultural center or library. What is missing is a hotel – it is not my mistake. Conventions held in hotels are rather rare. Of course there are such events (e.g. Nordcon) but this type of venue is not very popular. Last but not least one must mention parties. And this topic is partially related to the previous one. As per the Polish law one cannot drink alcohol in school (and the fact that it is weekend and there are no children there is not changing anything). So the law (and probably also the lack of proper space) resulted in the fact that parties are not very popular in the con venues. This however does not mean at all that Polish fans do not party. It is quite popular for an SF-con to have a convention pub. It is a place where after a whole day of programming fans can visit to have a pint (in fact in Poland beer is not sold in pints but in glasses of 300 or 500 ml) of beer (or cup of tea if one prefers non-alcoholic beverages). Depending on the event convention pub may be utilized better or worse – in some cases it is an excellent place to meet new and old friends in con-atmosphere while in some visiting it will be just like visiting standard pub. When we are approaching the end of this post I must mention one more topic. Unfortunately most of the cons have only programme items in Polish. There are some exceptions especially programme items with English-speaking guests but they are not very common. I am aware of one event that has full English programme track and it is our biggest convention (over 40 000 members in 2016) – Pyrkon. I do hope that other big cons will treat Pyrkon as an example and we will be able to host fans from abroad also on other events :). So this is it – a very brief description of Polish cons. I hope that it gave you some insight into the workings Polish fandom and that you will start learning Polish to visit us ;). If I will learn of another cons having English programme track I will try to put the information here. 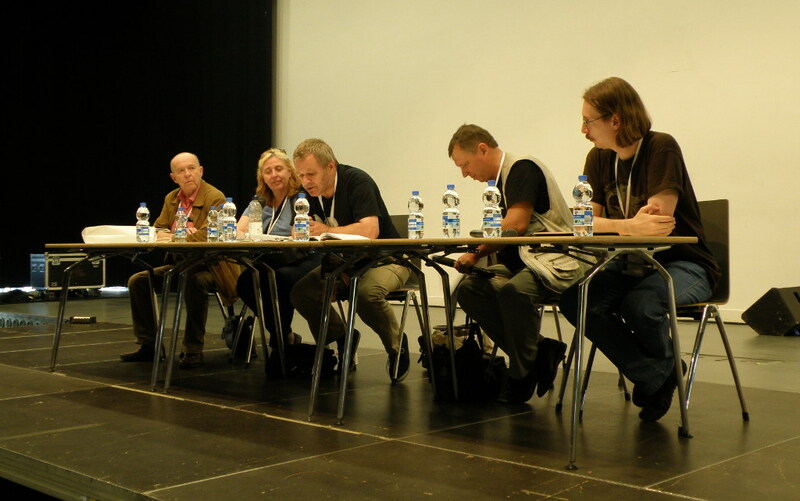 My next planned post will be devoted to Swedish natcon – Swecon in 2016 which I had a pleasure to visit. You may expect it here on 12th March 2017.